Enter Standard Shirt. Started by three gentlemen out of New York, their goal was to create "a well-cut, simple, yet versatile shirt that is priced fairly" that "balanced quality, design and value." Sounds simple enough, right? Yea, until you actually try to find a shirt that checks all of those boxes. So let's start with price shall we? 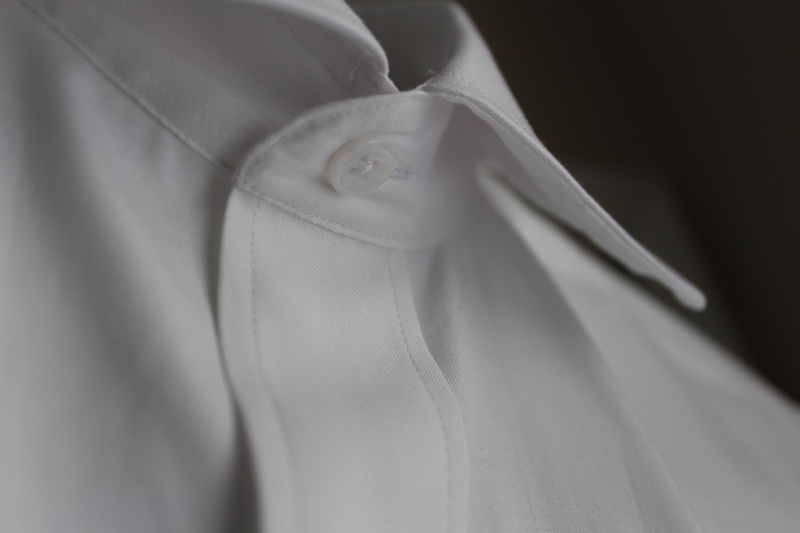 Standard Shirt offers two options - the Standard White Spread Collar, which I received and the Standard White Cutaway Collar, both priced at $59. You read that right, 59 bucks. I emphasize this for a couple of reasons. One, this is less than what you would pick up say a Tommy Hilfiger shirt at Macy's for if you paid full price. Two, this price point is important to bear in mind when I discuss a couple of details. On a related side note, for some reason I really dig the fact that they literally only offer two options. In my mind, it's a good indicator of focus. 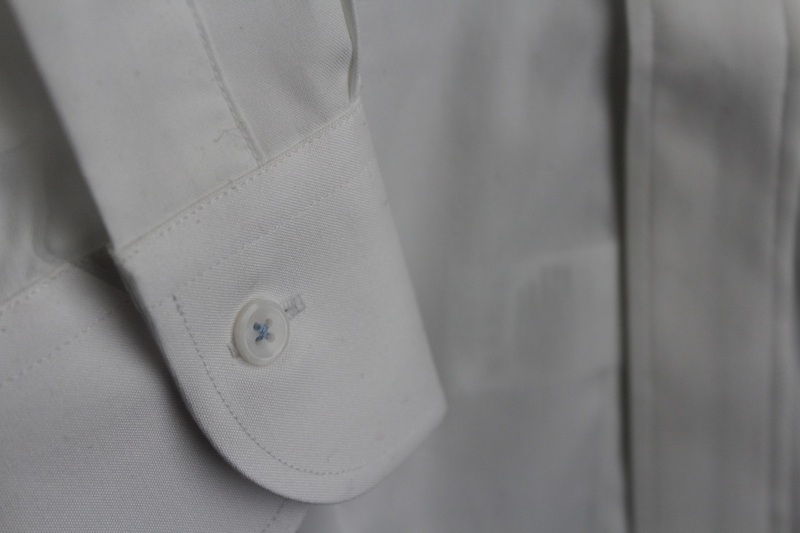 Find something that's as much of a wardrobe staple as the white dress shirt and then get busy making the best shirt you possibly can while figuring out how to keep it affordable enough for pretty much anybody. Dope. Who knows? Maybe in the future they'll make the decision to expand their offerings, but for now I like the idea of doing one thing and doing it well. What really seals the deal for me with the shirt I received was the collar. I think the first word that popped into my head when I opened the box was "magnificent." 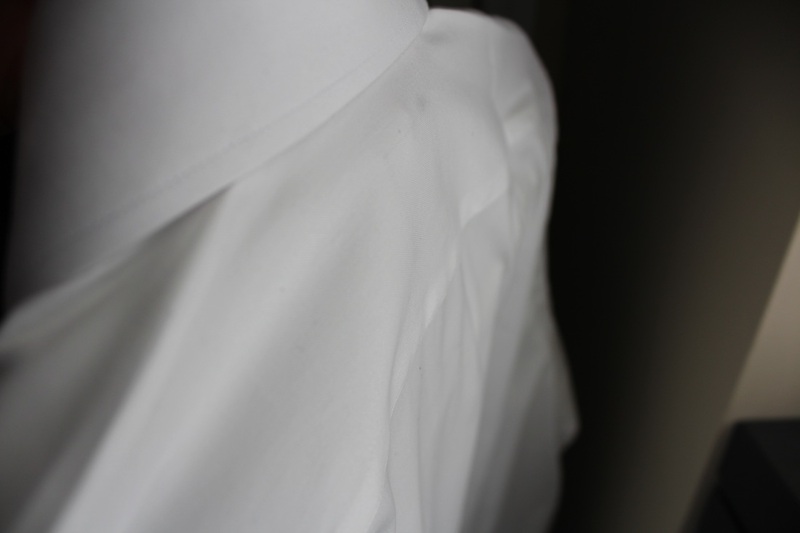 If you've followed the blog for a while, you will know that I can wax poetic about shirt collars for a while if allowed to do so. Here, I will simply say, "well done, Standard Shirt, well done." Per their website, everything from the labels to the buttons are made in-house allowing them save on costs. The white shirt. Along with the blue shirt, it's often considered the shirting foundation of a man's wardrobe. Why? These two colors pretty much provide a blank canvas to any suit, tie and pocket square combination you can think of. According to my wife, since starting the blog I've become somewhat of a shirt snob in how particular I am about the characteristics of the shirt that I add to my closet. And you know what? She's right. I've become picky about everything from sleeve lengths, to buttons to collars. Especially collars. I'll compromise for what I consider a beautiful collar. Needless to say, this has made buying shirts a little more difficult than it used to be and I find myself spending a bit more on off the peg shirts by Borelli and Finamore or resorting to made-to-measure options. However I'm always on the look out for more affordable options given that I wear dress shirts 95% of the time and look forward to opportunities to check out shirts that could hit the mark. Alright, let's talk about what you are getting with Standard Shirt. First and most importantly in my opinion? Fit. World War I was a huge moment in menswear as it related to off the rack clothing. It was sort of the first point in history where it became necessary to dress large numbers of men in the same thing and what was learned in measuring men in that process became the foundation of off the peg sizing as we know it today. The point here is that while you can categorize the shape of most men into a handful of categories, within those categories you have different sizes. 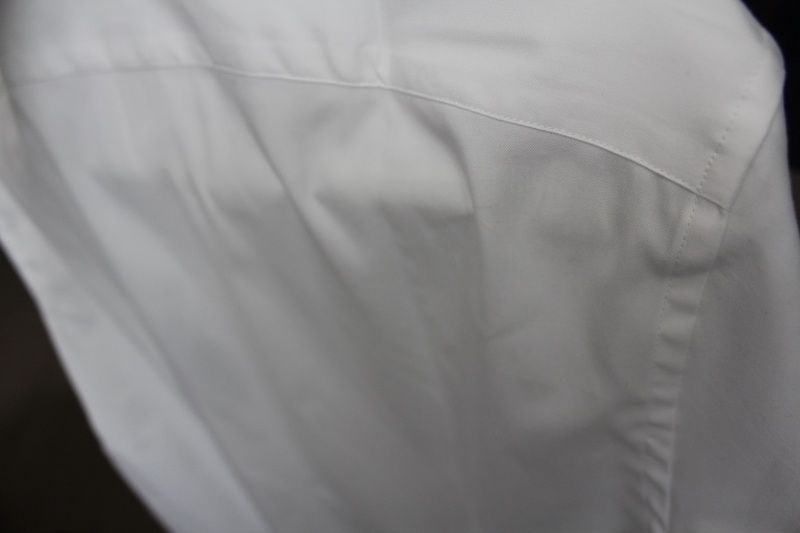 In recognition of this fact, instead of the whole and half sizing we are used to when it comes to dress shirts, Standard Shirt took it one step further and offers their sizing in quarters (1/4) and thirds (1/3) allowing you to dial in for a better fit. Made with Xinjiang cotton, the fabric used is an 80s-long pinpoint oxford with approximately 18 stitches per inch. It's soft but doesn't feel flimsy and breathes well. I'm a fan of the reinforced construction at the collar, cuffs and placket. 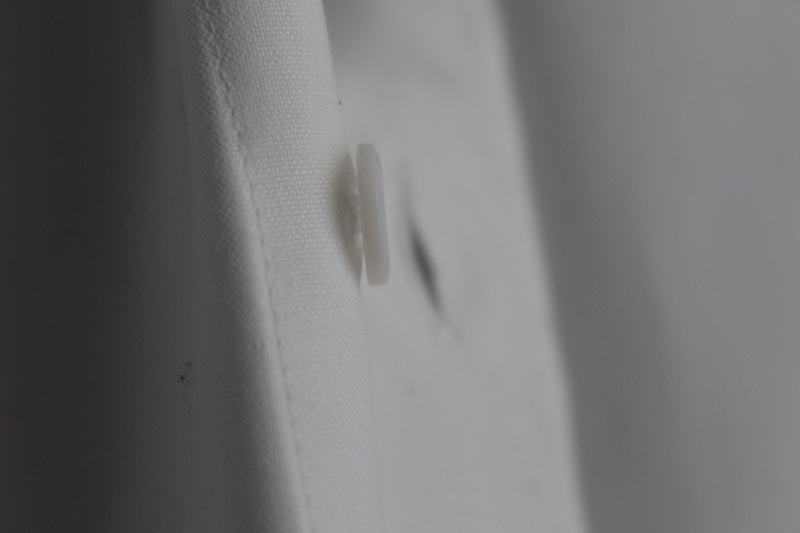 The mother of pearl buttons are a bit thinner than I've gotten used to, but here is one of those places where I would invite you to remember what these shirts retail for. Good luck finding MOP buttons at Macy's or even Nordstrom at this price. The other thing that didn't do it for me and this really is personal preference, were the collar stays. I prefer 'em solid and these were far from. Yet, I understand the practicality of the flexible plastic pieces used when it comes to getting the collar to do what you want. While this wasn't an issue for me, some may also have an issue with the cuffs being too tight. My final thought here are that this is a solid product at a solid price. Over the last few months, I have received approximately one email a day from some brand or PR agency representing a brand regarding their offering and the possibility of a review or feature. The vast majority of those emails go straight to trash because I get the sense that they are mass messages (dear blogger) or it's obvious that they didn't take the time to read the blog to ensure their product was relevant (here's looking at you flip-flop guy). Yet, when I get an authentic email from a brand like Standard Shirt and end up with a legit product in my hands, it makes me glad that I get the opportunity to do this and share what I find out with you guys. Check out Standard Shirt here.